As more and more smart products flood the home security market, homeowners are increasingly looking towards smart security to protect their homes. The smart lock market, for example, was valued at $423 million in 2017 and is expected to be worth a mammoth $24.20 billion by 2024. Allowing you to open and close your door without a key, whilst rendering the fear of being locked out a thing of the past, it is easy to see why smart lock security has caught the public’s imagination. However, if you are weighing up the idea of getting a smart lock yourself, you can’t just blindly buy the first one you find—you need to know what features you’re looking for. Only then will you be able to choose the most secure, reliable and functional lock possible to keep you and your property safe. Below, we have listed some of the most important attributes to look out for when choosing a smart lock for your home. The principal function of any lock, smart or not, is to keep your property secure. However, whilst traditional lock manufacturers are solely focused on making their locks as secure as possible, smart lock producers are prone to becoming sidetracked by the ease of use and making their locks as flashy as possible. You only have to look at the ill-fated Tapplock as evidence of this. Marketed as the “world’s first smart fingerprint padlock”, the lock could simply be unscrewed using a screwdriver, rendering the contraption useless when it comes to protecting property. Most smart locks do have features that make them resistant to forced entry, but as the Tapplock proves, you still need to be wary that physical security can be deprioritised with some smart lock models. 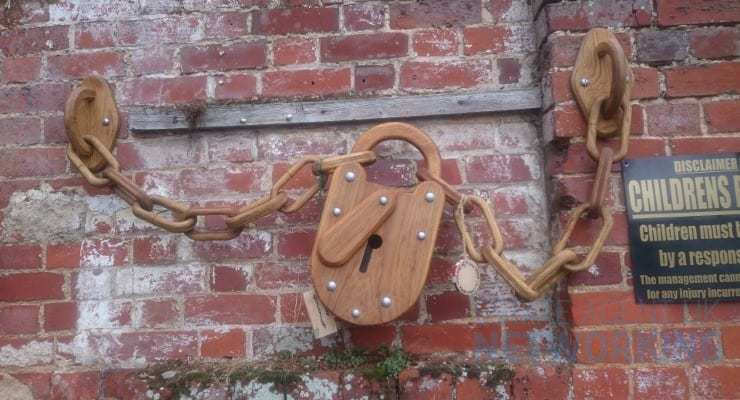 Because of this potential vulnerability, security experts Banham have warned that smart locks should not be relied upon as your primary form of security, especially as many can be incorporated within an existing lock structure. In their guide on how to choose a smart lock, Banham state that “a smart security system should serve as something of a plan B, with high-quality traditional locks being the main means of your front door security”. Therefore, to ensure that your lock system as a whole is as secure as can be, you should purchase a Grade 1 deadlock—the most secure type of deadlock available. These are highly resistant to methods used to breach a lock, like lockpicking. This will then inform what type of smart lock you end up buying, as there are many that Grade 1 deadlocks can work in tandem with. You should consult with a security professional if you are unsure whether you currently own this type of deadlock, or uncertain if a particular smart lock is compatible with your existing lock. One of the main selling points of smart lock security is interconnectivity, and whilst this enables them to be used with smartphones and other smart devices, it can make them vulnerable to hacking. Researchers have identified various smart locks, including the Tapplock and the Amazon Key smart lock, as easily hackable, with other studies finding that smart devices in general can be hacked in just minutes. It is therefore imperative that you opt for a smart lock with secure authentication parameters and a strong automation protocol to protect you from this hacking threat. A professional locksmith should be able to help you identify whether certain products come with these features or not so that you choose the right smart lock. Running out of power is not a concern with traditional locks, but with the majority of smart locks running on batteries, it is vital you pay close attention to the length of a smart lock’s battery life. You could find yourself in a real trouble if your lock powers down when you need it the most. Make sure you look at what your lock’s expected battery life is and how exactly a smart lock consumes its power. Smart locks like the August Smart Lock 3rd Gen are favoured by consumers, but since both only have a three-month battery life, there are more durable alternatives on the market. Smart locks like the Danalock that utilise features like BLE (Bluetooth Low Energy) are recommended, as they can perform the same functions as their counterparts but in a low power state, conserving battery power. If you already own other smart devices, buying a lock that can integrate with these is a wise move. For instance, August Smart Locks now work with SimpliSafe security systems, so those that own both can sync up locking and unlocking their door with arming and disarming their security system. Many Nest products also work together, so if a fire broke out in your home, for example, the Nest Protect fire alarm would automatically open your Nest door lock to let you out. Having a secure smart door lock that can integrate with other smart devices in such ways is hugely beneficial when it comes to keeping you and your home safe.